A conversation between Fu Wenjun (Independent & Image Art Space), Stephen King, (Boogie Woogie Photography), Robin Moyer (Pékin Fine Arts) and Mohan Palani (f22 foto space) to discuss their passion and their professional practice with moderator Leung Yiu Hong (Editor, Photography Is Art magazine). Fu Wenjun, Chinese contemporary artist, is a graduate of the Sichuan Fine Arts Institute. He creates principally through the media of photography, installation, sculpture and oil painting. Fu Wenjun has developed his unique fine art photography style: Digital Pictorial Photography. Using this technique, Fu Wenjun aims to explore the relationship between photography and other art forms such as painting and sculpture, and to widen the boundaries of photography in the current digital age. 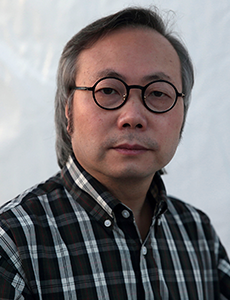 Fu Wenjun has had solo exhibitions at the National Art Museum of China, the Museu Europeu de Arte Moderno in Barcelona, and the Guangdong Museum of Art. Stephen King is an award-winning fine art and landscape photographer based in Hong Kong. His works are popular for their painterly and meticulously composed representations of the natural world, and have been exhibited in well-known galleries and art fairs, featured in leading magazines and won recognition from the world’s most prestigious photo competitions. In 2017, Stephen had more photographs selected (six) than any other photographer by International Landscape Photographer of the Year for publication in their highly coveted “Top 101” book. He also had two photographs selected for Travel Photographer of the Year’s traveling exhibition and two images selected for Outdoor Photography Magazine’s annual book of top photos. He was further awarded World Rank #3 (and HK rank #1) in the World’s Top Ten Landscape Photographers 2017 competition held by One Eyeland. His work has been featured in Zoom Magazine, Asian Art News, Hong Kong Tatler, Landscape Photography Magazine and Art Investment Magazine. Robin Moyer began his career as a cameraman for UPITN/ITV in Vietnam covering the Cambodian invasion in 1970. 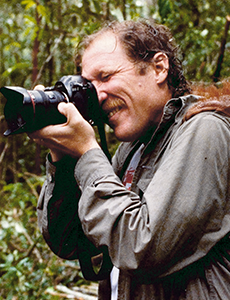 He began working for Time-Life publications (Time, Life, People, Sports Illustrated and Fortune) in 1978 and was Time Magazine’s Chief Contract Photographer in Asia from 1983 to 1998. He received many awards for his work in Asia and the Middle East, among them: World Press Photo Premier Award, and the Robert Capa Gold Medal Citation from the Overseas Press Club of New York. Between 1978 and 1998 he carried out a wide range of assignments for Time, including Cambodian refugees, Afghanistan during the Soviet occupation, the Philippine Revolt in 1986, the Seoul Olympics in 1988, and the Tiananmen incident in Beijing in 1989. Over the years Robin Moyer has made portraits of the political and business leaders of Southeast Asia, producing 20 covers for Time. Among these are Lee Kwan Yew, Mahathir Mohamed, Aung San Suu Kyi, Fidel Ramos, Corazon Aquino, Stan Shen (ACER founder), Li Ka-shing. Kim Dae Jung, Kim Young Sam, Zhao Ziyang and Deng Xiaoping. He has also worked on assignment for Life, Fortune, People, Newsweek, The Far Eastern Economic Review, Paris Match, The London Sunday Times Magazine, Smithsonian Magazine, New York Magazine, Elle, Vanity Fair and many others. Born in India, raised in Australia, and now living in Hong Kong, Mohan Palani’s work has been widely published by many of the world’s leading publications. He is the author of six books including his latest, Wind, Water. His work is part of the collection of the National Portrait Gallery in London and his images have been shown widely including at the prestigious Visa Pour L’Image in Perpignan, France. 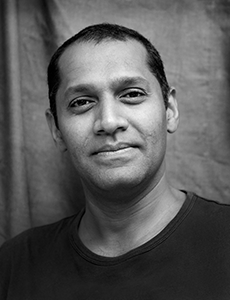 He talks about his work and photography around the world, including in the TEDx series and at the Asia Society in Hong Kong and New York and he has been recognised with awards including World Press Photo, Picture of the Year International, CHIPP, Communication Arts, and Sony International. Born in Hong Kong, Leung Yiu Hong moved to Portland, Oregon in his early 20s and received his BFA in Intermedia from Pacific Northwest College of Art in 2009. 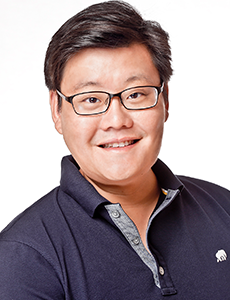 He currently resides in Hong Kong where he is the Editor and founding team member of Photography is Art magazine. 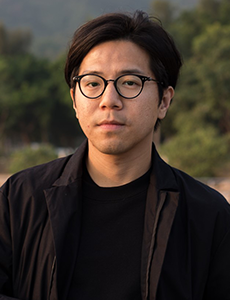 Leung previously focused on photography education and worked as a freelance photographer, serving clients including Skyhigh Creative Partners, the Hong Kong Arts Centre, The Robert H.N. Ho Family Foundation, and Hong Kong Baptist University. As a lens-based media artist, Leung has published two photography books, I need to be physically healthy because my mind is weak, and If you want to quit, let’s do it tomorrow, exploring the relationship between sentimentality and the physicality of his being.